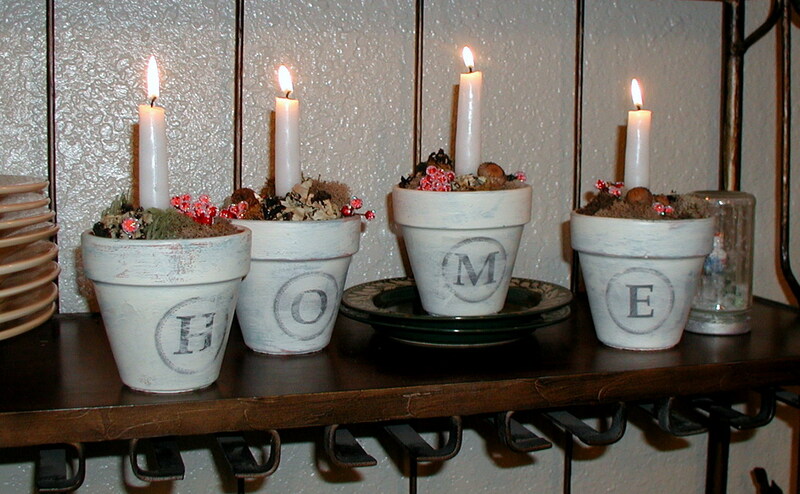 Through the holidays, I worked on this project inspired from this website about using terra cotta pots for tabletop candle holders and this one about transferring graphic images onto terra cotta pots. 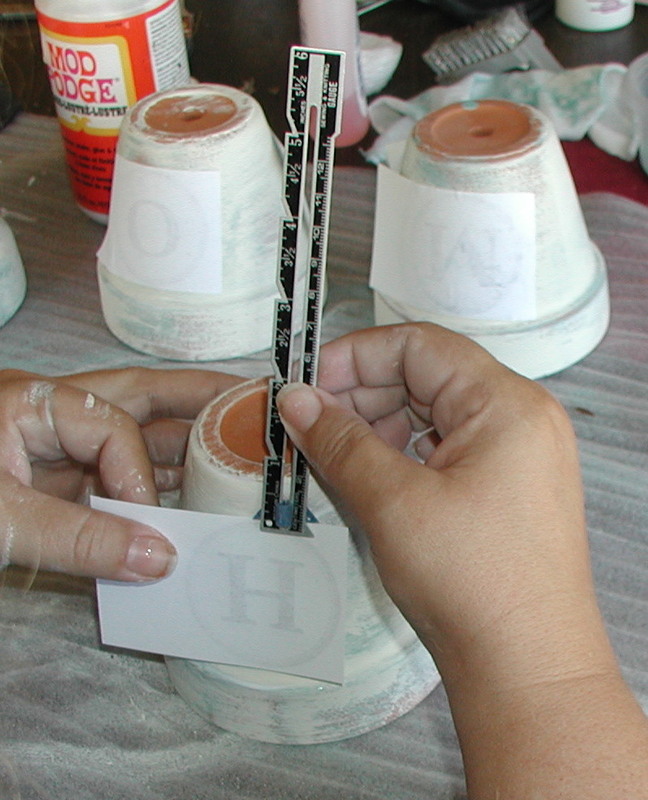 Paint is applied with a dry brush method. This simply means the brush is very dry and has little paint on it. 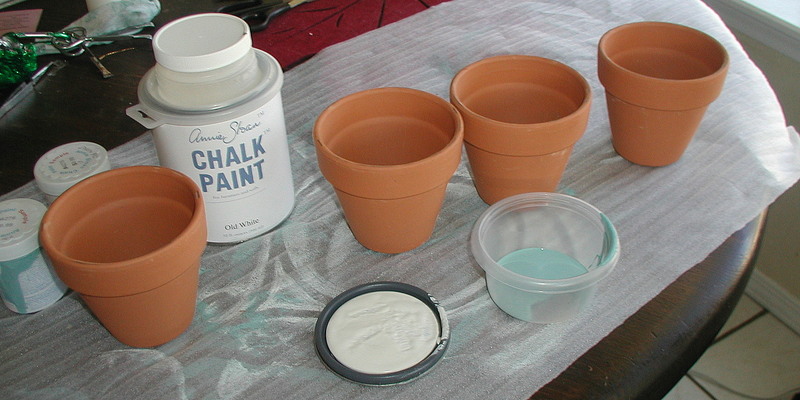 For variation, you might try a slightly damp sponge with a little paint. The colors are further smeared with a slightly wet paper towel. 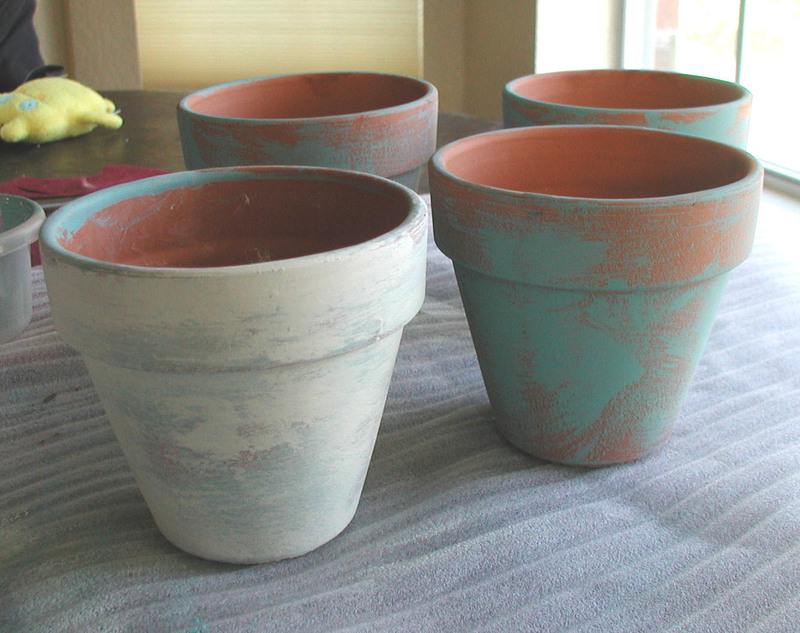 The ASCP smears nicely; I don’t think regular latex would work because when distressed it would peel off the terra cotta however, you could try Poster paints if you don’t want to go the expense of ASCP. Start from the outside corners and work inward. This gives you a feel for how much pressure you want to use. 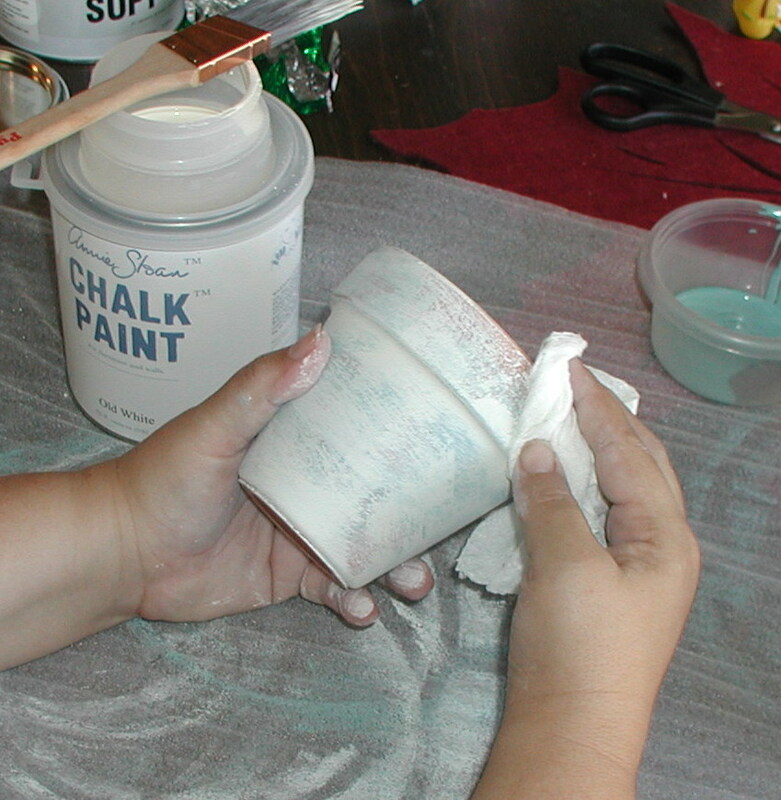 If you find yourself rubbing too much off, set aside and let dry before trying again with no or less water. Realize that removal doesn’t mean removing all the paper. You will have some left where the image remains on the pot. If the black starts to smear, set aside and let it dry before trying again. If too much image is being removed, I let it dry some and then go back and roll off more. This does randomly distress the lettering. It’s not supposed to look perfect and that is okay! 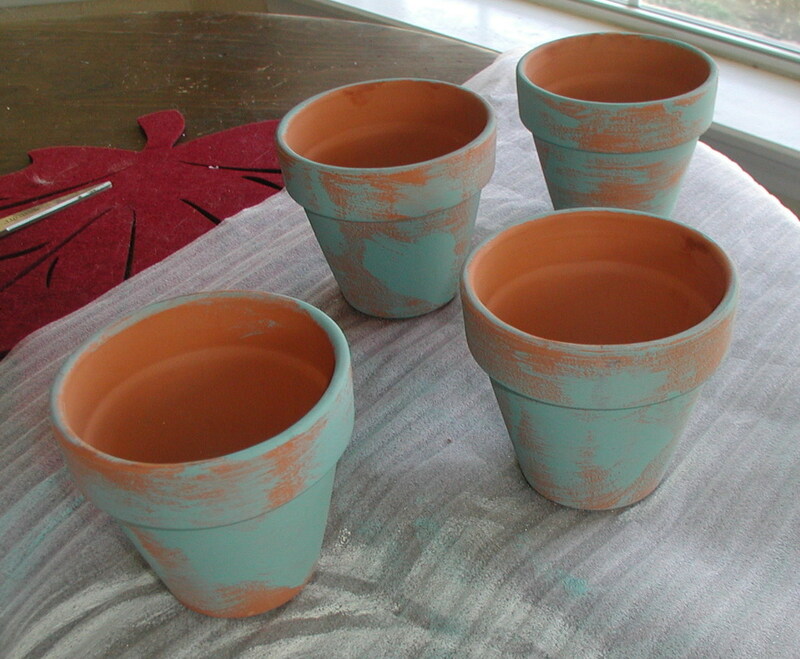 Floral foam goes inside each pot. 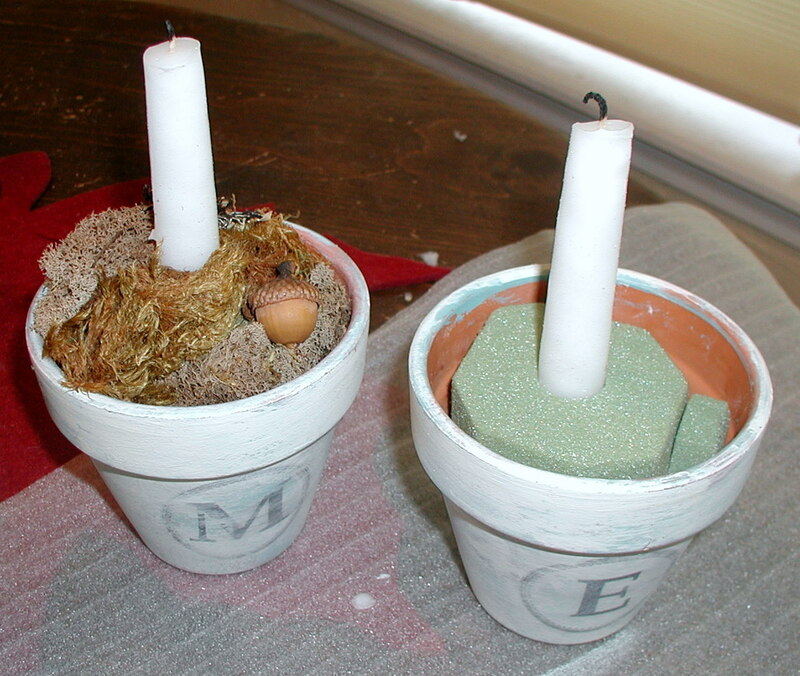 After the candle is set, the top is decorated with greenery such as moss, spare Christmas tree branchlets, Rosemary, berries, mini pinecones, and/or acorns. 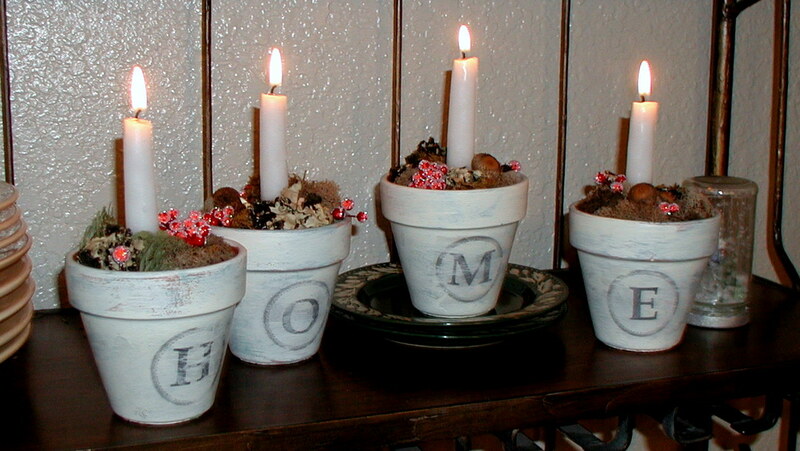 For Valentines Day, I’ll be making a LOVE set with red glass stone/beads with the candles. Use your imagination! Download a 4 circle blank, Home, Love or Noel graphic (the circle border is from the Graphics Fairy, and the font is Book Antiqua) in a jpeg. These images are reversed for application and ready for printing. 2 rows will fit on a 8 1/2 x 11 piece of paper. I’m going for a bit of retro-1940’s look in my son’s room with earth tone colors of green, beige, and tans accented with silver metal. One of the items I found recently was a modern/contemporary styled ceiling fan on Craigslist for $40. 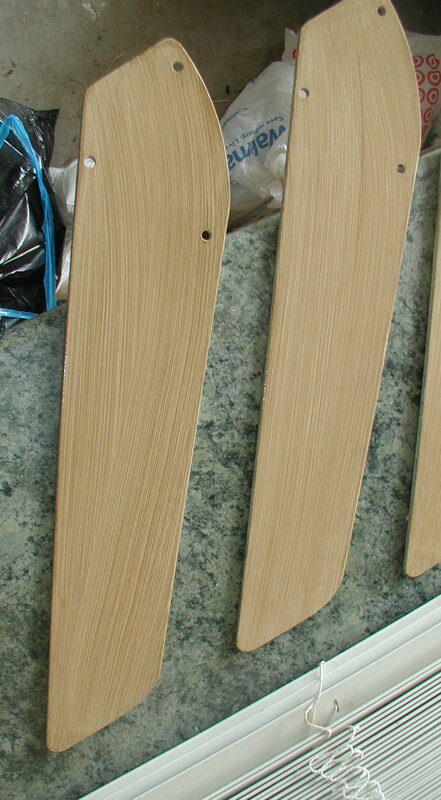 The fan blades were originally a light, shades of white, pickled oak with shiny top glaze that wasn’t going to suit where it was going. It was also a dated color, probably more to the 1980’s then now. First, I did a very light sanding to break the surface. 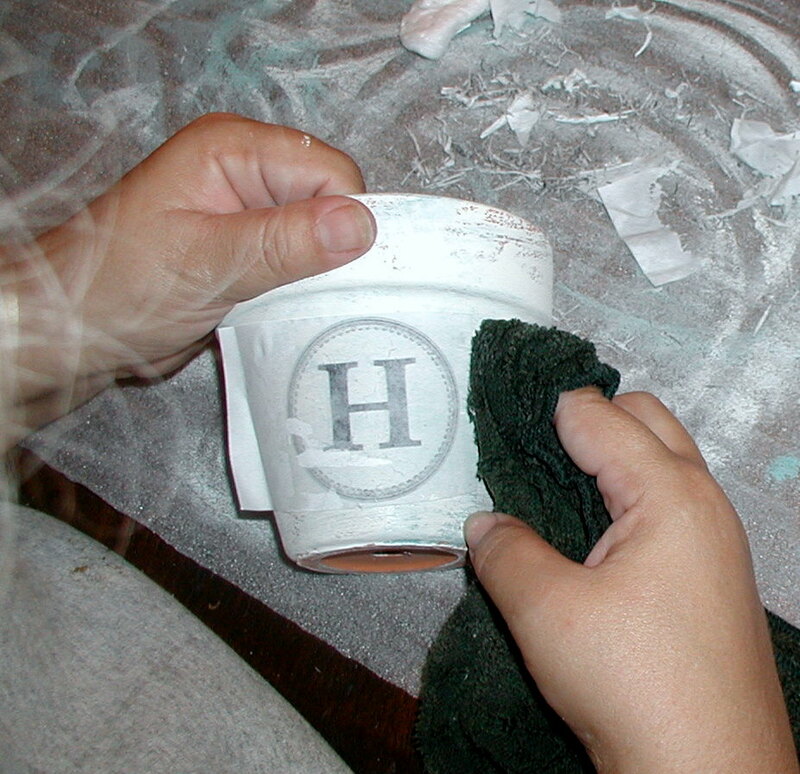 The primer used was from a spray can; the first time I’ve used a spray primer and really I wasn’t very impressed. I’ll stick to paint with a roller or foam brush. 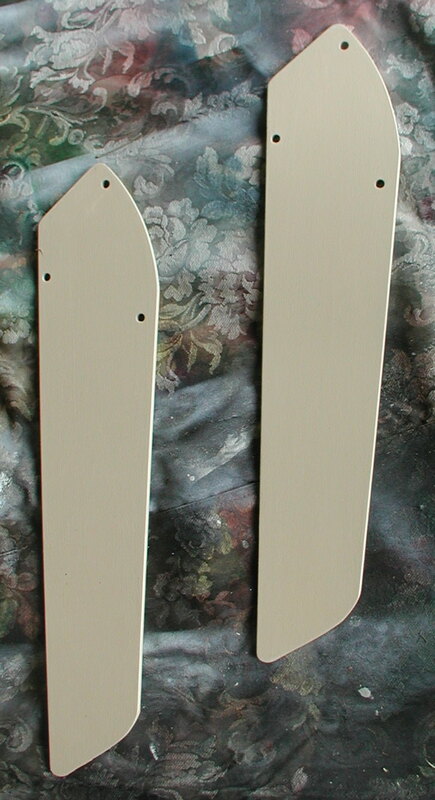 There were some nicks on the blades so if these are too severe you can use a filler to make the surface even before re-painting. The base coat used some of the paint (Pecan) already in the room. 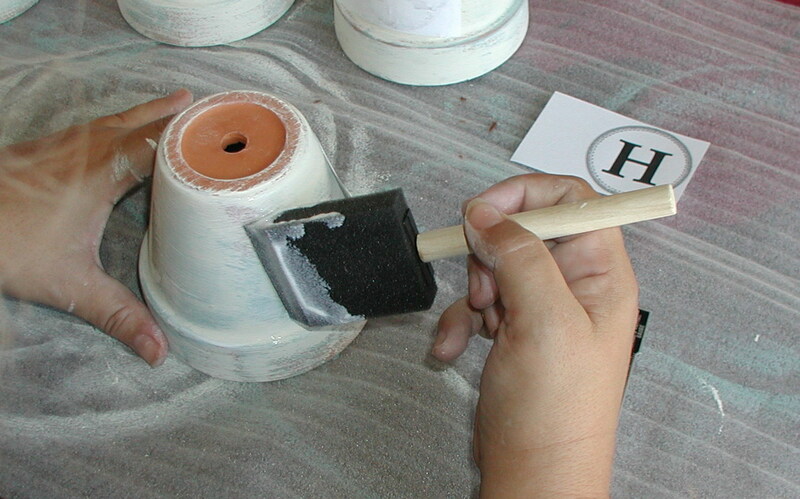 The top glaze was Burnt Umber, which was applied with a drag technique. I let it dry 24 hours to reduce any paint smell and then re-attached to the main fan motor. I liked the body of the fan so didn’t change the silver. 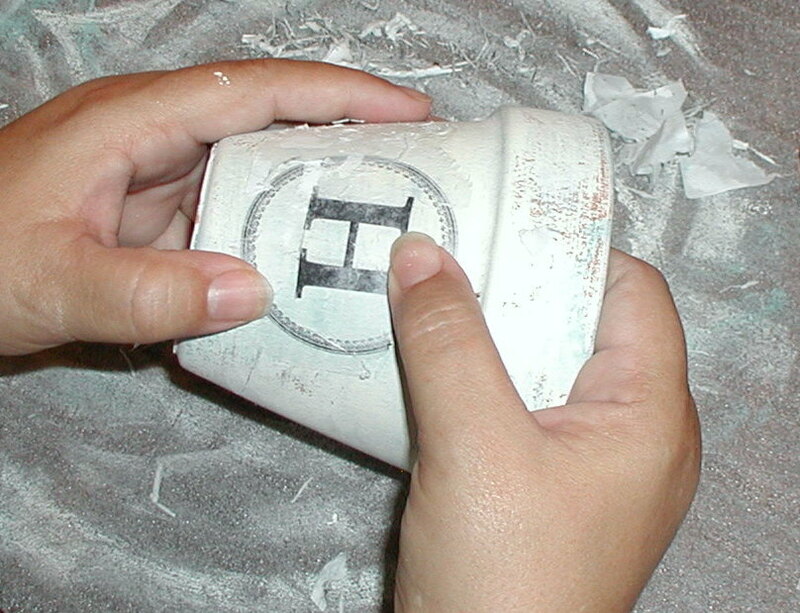 However, if you wanted to do this you need to be aware that spray paint can get inside the workings and gum it up. Any spraying you do, the working area of the motor and electronics need to be firmly protected and sealed. Before you throw away those ceiling fans because of their dated look, see what you can do by changing the blades or the light kit. You might be surprised into saving some money!